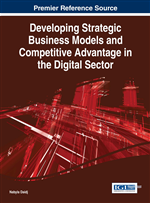 This chapter focuses mainly on corporate growth strategies and growth modes. The main question is how to create and develop a sustainable competitive advantage for the whole company. The traditional strategic management approach is to consider two different levels of analysis: business and corporate strategy. In fact, both of them represent today the basis for obtaining sustained competitive advantage in particular in dynamic and turbulent markets. A firm competing in domestic and international contexts is often faced with making a choice between three corporate strategies: diversification, specialization, and vertical integration. One of the fundamental problems facing the process of strategy formulation in a company is that the number of potential strategic options is unlimited and in some cases extremely complex. This chapter considers that there are mainly three viable alternatives to implement a growth strategy: internal development (often called “organic growth”), external growth, and cooperation (alliances). Corporate strategy involves decisions that are made regarding the direction of an organization as a whole. At corporate level, three main strategies can be considered: diversification, vertical integration and specialization (focus).